We are enjoying cherry season here and every fruit and veg shop I pass by proudly displays full crates of this delicate and delicious fruit. Even better. You just have to drive outside of Vicenza and in 10-15 minutes max you will start spotting them. 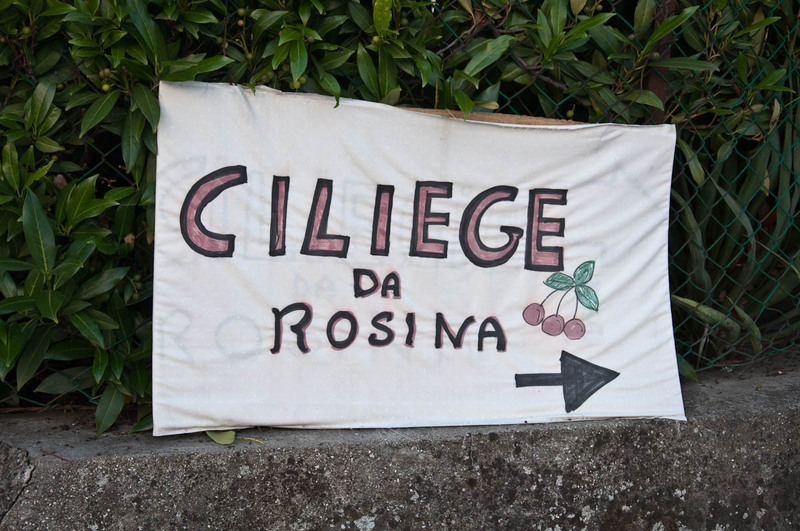 Little tables placed on the side of the road with handwritten signs often simply stating ‘Ciliege‘ or ‘Cherries’ in English. So you can stop and buy ripe sweet cherries which stain your lips with their juice and fill your heart with happy thoughts. Now, the best bit is that the cherries offered at these improvised selling points have been freshly picked straight from the adjacent cherry orchards. And these are abundant here. 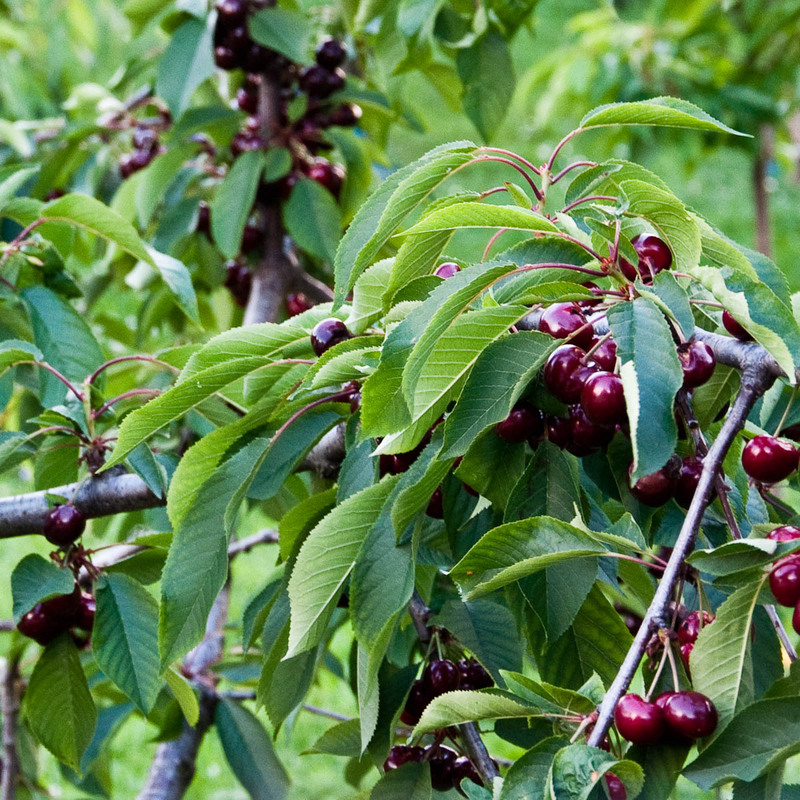 Yes, the area around Vicenza is famous for its cherries. Little towns and villages like Marostica and Castegnero have been cherry-growing centres for centuries and the Romans themselves were heavily invested in cherry tree planting and cultivation. The local cherries are famous for their size (reaching 3 cm in diameter), their beautiful red colour and delicious taste. They have a deep satisfying crunch when you first bite into them and then as their firm yet very sweet flesh is mushed by your teeth you are left craving yet another one. 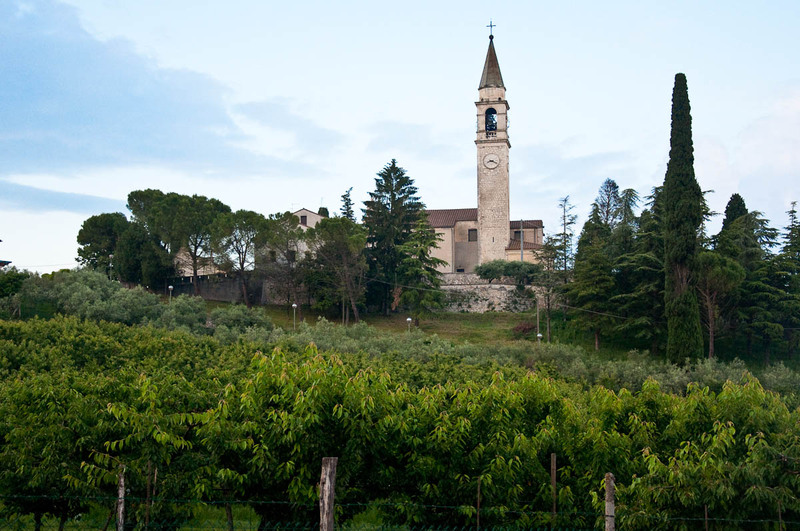 Every year local events and festivals are organised to celebrate the cherries of Veneto’s fertile land. After our last year’s visit to Marostica’s cherry festival (you can read all about it here) we were eager for more. So, late in the afternoon on the last Saturday of May we piled in our little red car and drove to this charming medieval town looking forward to its Red Night. La Notte Rossa is now a tradition in Marostica. It marks the opening night of the two-week long cherry festival and it is an evening of entertainment and music when people come out to celebrate, dance and generally have a good time. Even the local shops stay open until very late and get in the spirit of things by dressing their window displays in all things cherry-related. 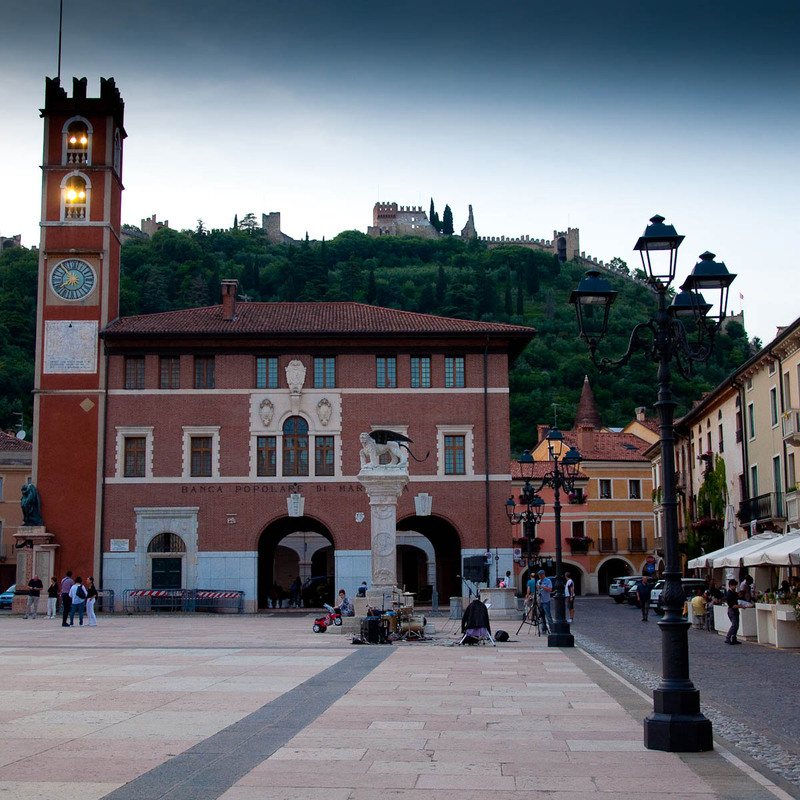 When we arrived, we found Marostica’s checkerboard square dotted by little stalls of the local farms selling their cherries. Obviously, we immediately attended to our most pressing task, namely buying a kilo of freshly picked cherries, washing them in one of the town’s water fountains and then finding a picturesque spot to eat them straight away. Honestly, there are not many things in the world better than sitting on a bench, surrounded by stunning Italian architecture and flowers in full bloom whilst stuffing yourself with ripe cherries. Once this was ticked off we ambled around town slowly taking it all in. The cafes and bars around the main square had live bands and DJ’s and music was coming from all sides. 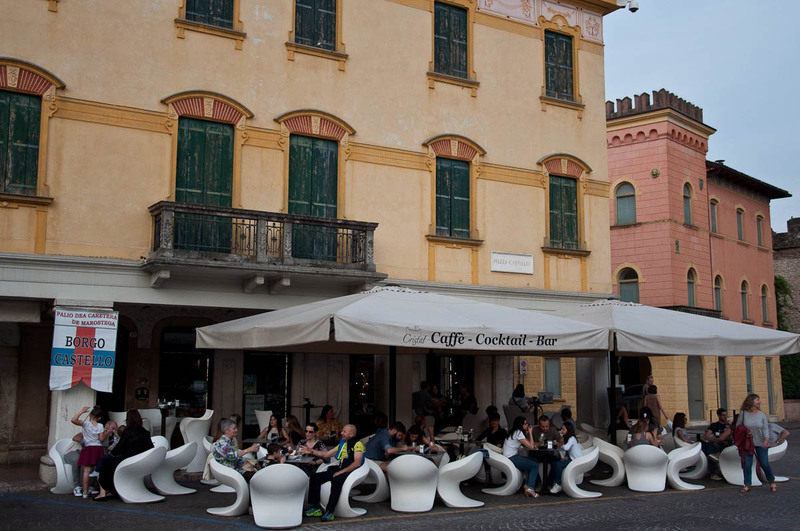 People were enjoying leisurely gelatos, coffees and aperitivi. A gaggle of children ran up and down the square chasing each other and generally having a whale of a time. On top of the hill Marostica’s Upper Castle presided over this merry scene. It was all so relaxed and happy, it was easy to forget about the world’s problems for a while. 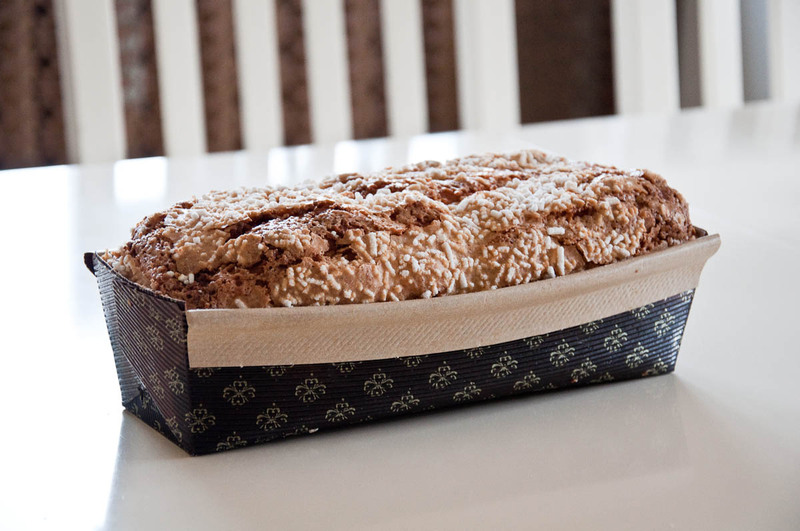 We rounded the evening up with a pit stop in a fancy pasticceria cuddled in one of Marostica’s long arcades. 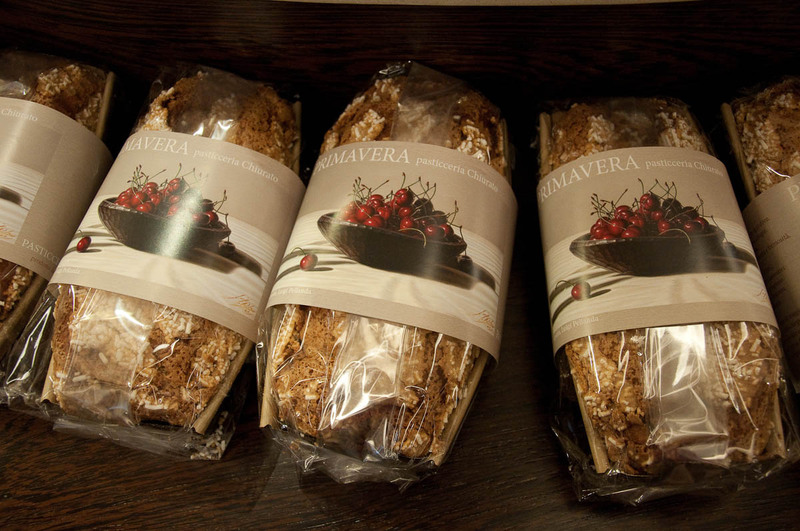 There piles of artisan cherry focaccias and loaves caught our eye and we couldn’t leave without one neatly packed in a bright red bag. It was the perfect souvenir to take home where we enjoyed it for breakfast the day after that with cups of strong English tea. The cherry loaf was really soft and it melted on the tongue, the juicy cherries it was generously studded with providing a lovely zing. 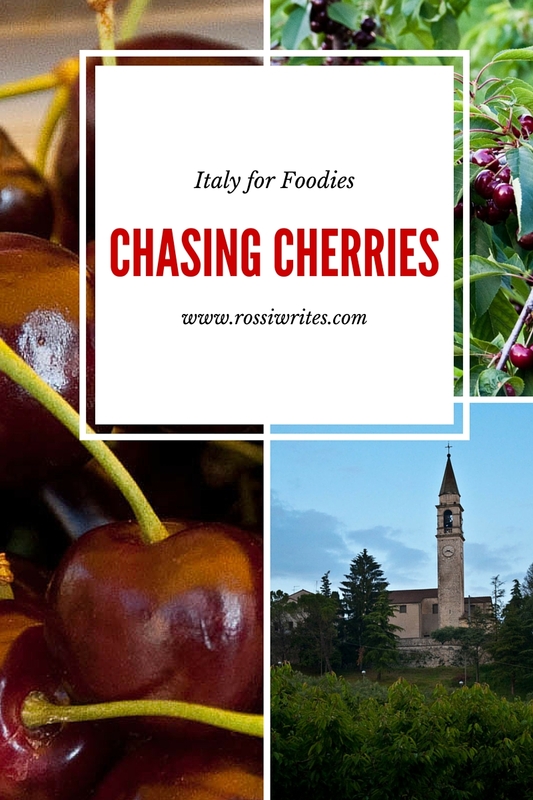 Having raised the bar of cherry-related experiences so high up, a week after that we were back in our red car driving to the village of Castegnero – the other big cherry-growing centre around Vicenza. 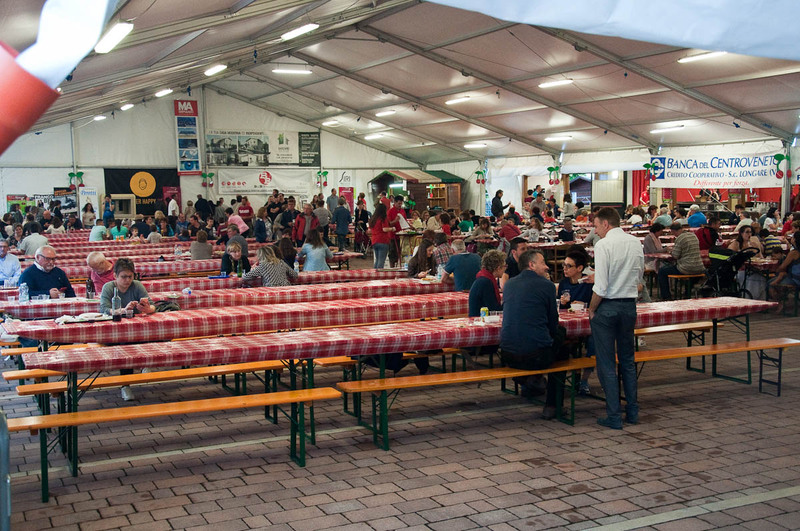 A large two-week festival called Festa dea Siaresa is held there every year too to celebrate the local produce. We had heard great things about Castegnero and its cherries, still there was a bit of apprehension in the car. 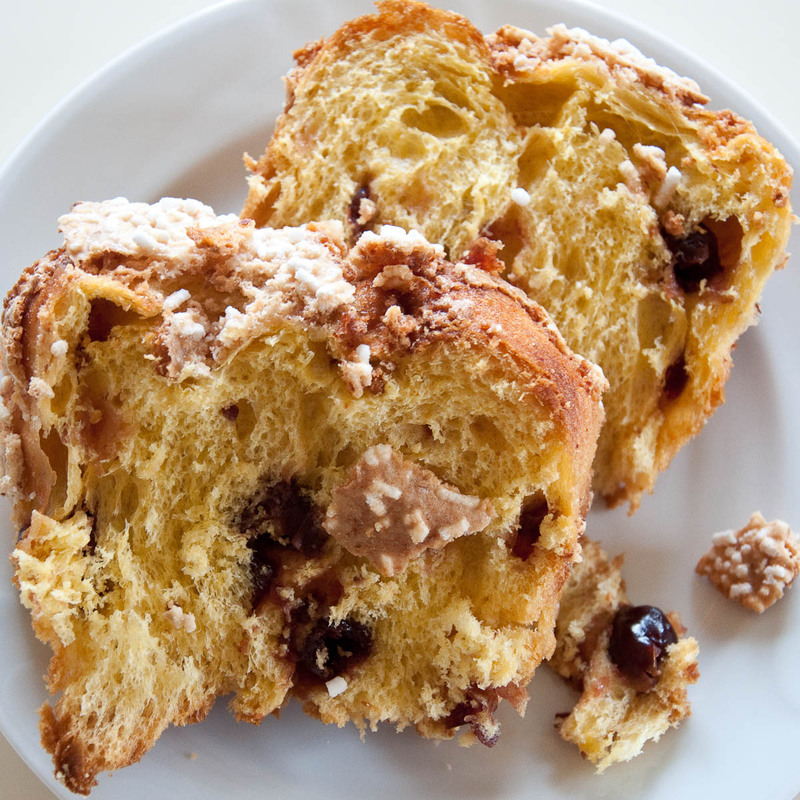 Some serious questions like would Castegnero live up to Marostica’s atmosphere and would its cherries be as large and as sweet, were playing on our minds. We shouldn’t have worried. Cuddled at the bottom of the lush Berici Hills, Castegnero turned out to be a lovely place made up of large houses surrounded by fruit orchards and flower beds. Flowering shrubs were covering the fences and hanging over the front gates. Cherry trees dripping with ripe fruit were everywhere we turned. 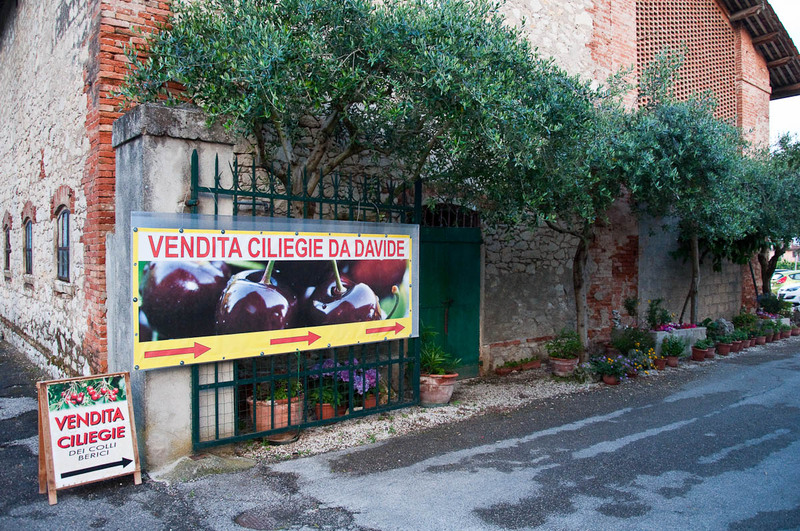 Large signs advertised the cherries of the local growers. In the middle of the village a large white marquee had been set up. In front of it a stage hosted a young rock band. Kids were running around. People were milling about and it all felt really relaxed. Whole families – from tiny babies to old grannies – had come out in force and I was particularly impressed with how sweetly the infants slept in their buggies all through the loud music and incessant chattering. We made our food choices inside the marquee. The menu had different options where cherries had been added in one way or another to otherwise classic meals. 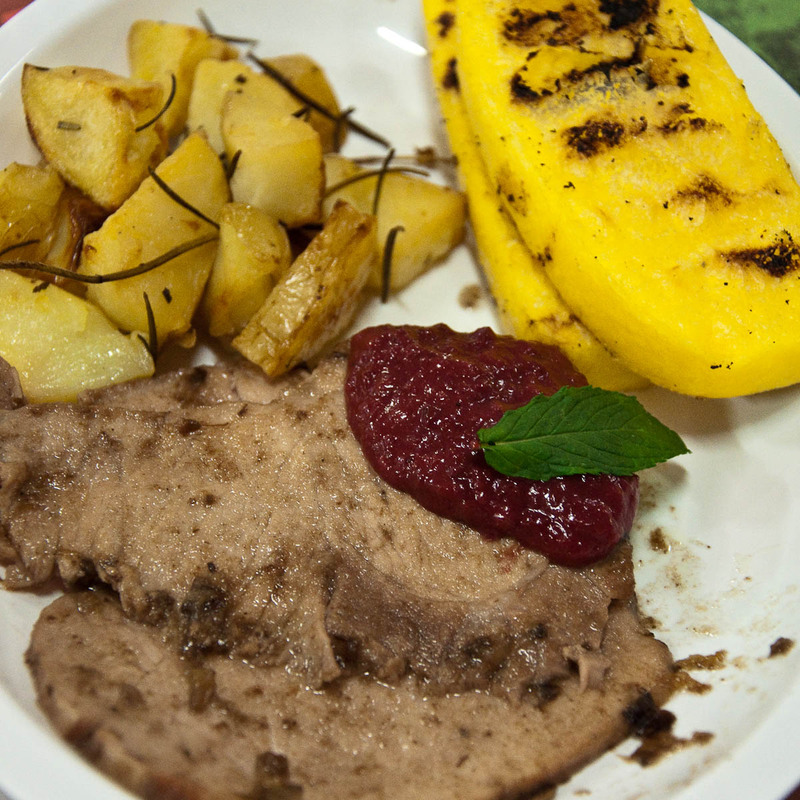 There was, for example, cherry risotto which sounded intriguing enough, but I couldn’t quite convince myself that I should give it a try, so I played it safe with pork fillets garnished with grilled polenta, baked potatoes and cherry confiture. My husband played it even safer opting for sausages and polenta. It all tasted great! The cherry confiture greatly emphasised the soft meat and the sausages were truly one of a kind. 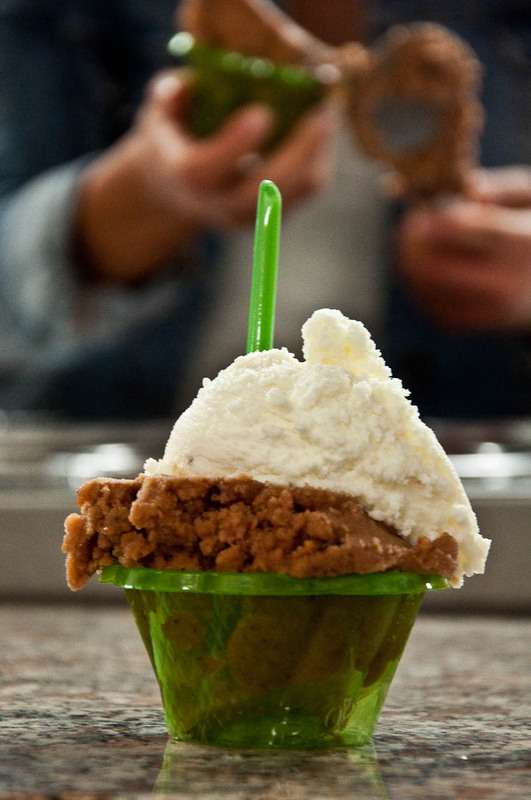 We topped it all with some of the best gelato I had ever tried. Cherry and fragola for me and cherry and fior di latte for Chris. The cherry gelato was studded with pieces of dark chocolate and it tasted like a fresh juicy cherry you had just crushed in your mouth. So, yes, a repeat visit to the cherry festival in Castegnero is firmly on in my next year’s plans. As for this year, there are a few precious weeks left til cherry season 2016 draws to an end. As such we are making sure that we don’t lose an opportunity to sample as many of these sweet juicy fruits as we can. In fact, as I write this, I am biting into a dark red heart-shaped cherry – one of a kilogram of particularly large and tasty specimens which we bought on a repeat visit to Marostica this afternoon. So, I’ll finish here, as I need to take a moment to savour this beauty just as it deserves. 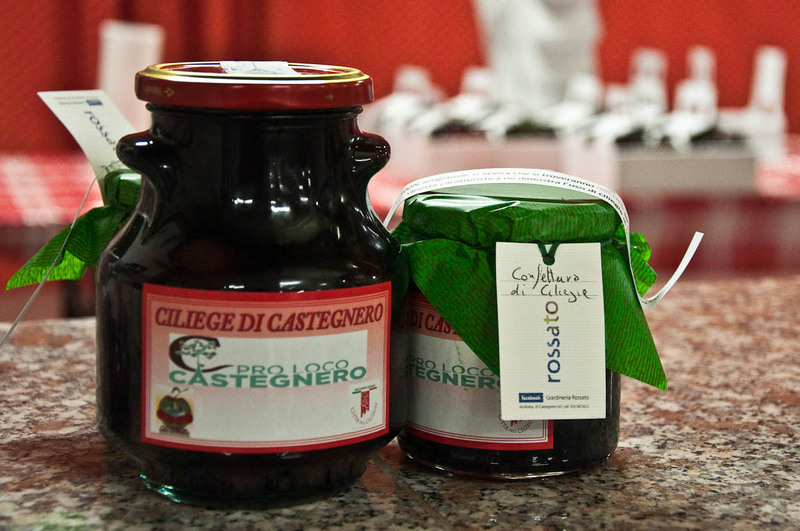 Have you tried the cherries of Marostica or Castegnero? 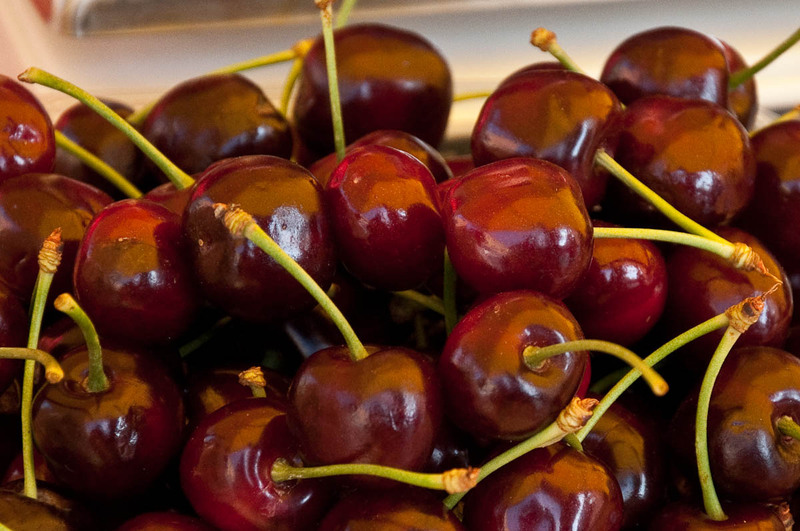 Which other cherry festivals in Veneto would you recommend that we visit next year? 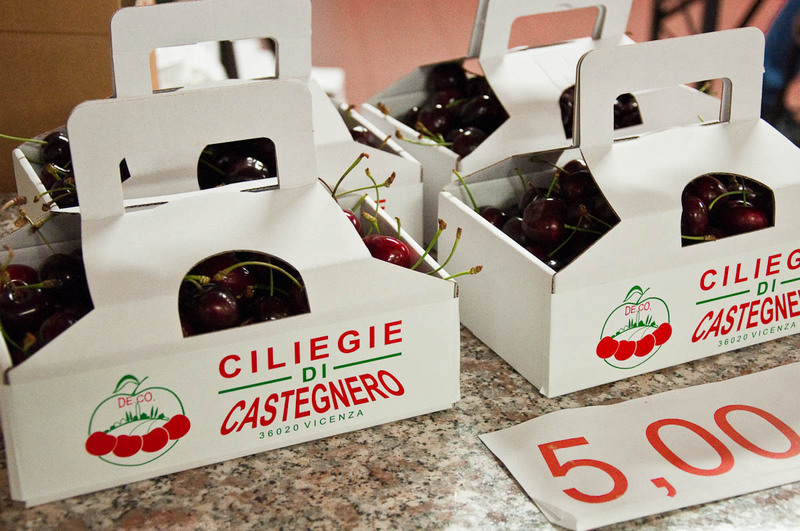 And would you consider travelling to Northern Italy just to sample its outstanding cherries? Let me know!